Before there was The Homeshoppingista, there was the Home Shopping Queen. She’s back. Before we launched our blog in November, we searched the Internet for any other blogs covering the home shopping industry, its gossip and the business of electronic retailing. The only one we found was the Home Shopping Queen, aka Queen Bea. It was smart, insidery and nicely written. But the Queen blogger had not posted since June, we think it was, when her grandmother passed away. But March 23, she was back in action, and has been posting ever since. She also explained her absence. The Homeshoppingista and the Home Shopping Queen have vastly different writing styles and approaches. We hope QVC, HSN and ShopNBC fans will check us both out each day. 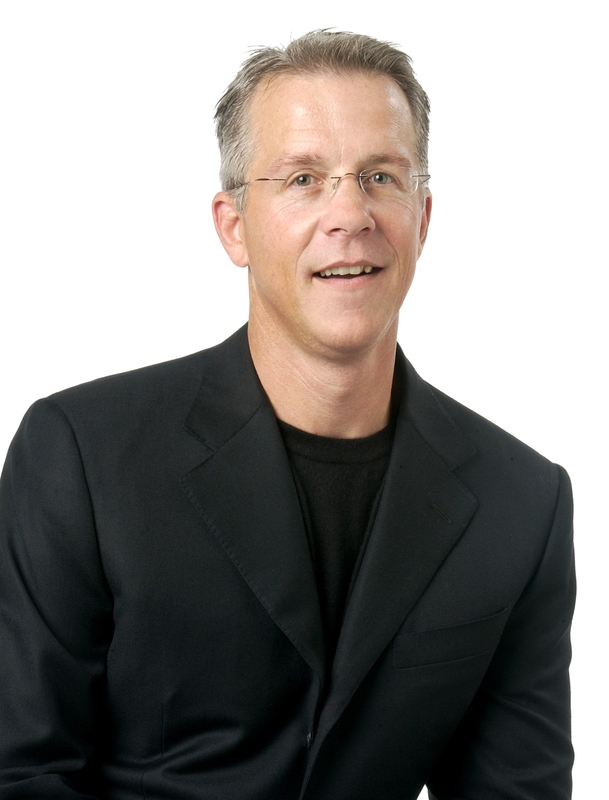 ShopNBC And CEO Keith Stewart Profiled By Hometown Paper The Star Tribune, Why Wasn’t Charla Rines Quoted? The Minneapolis Star Tribune did a goat-gagger of a profile this week on ShopNBC’s turnaround effort under former QVC executive Keith Stewart. It’s a nice job by two staff writers, who describe Keith’s efforts to cut costs, diminish the number of returns and lower the average price of the No. 3 home shopping channel’s merchandise. The Star Tribune notes that for the fourth quarter, as we reported, ShopNBC sales “were positive” for the first time in two years. But the company is still swimming in red ink, though it has decreased. The network posted a $42 million loss for the year. What the Star Tribune doesn’t mention is that ShopNBC viewers are still steamed that the network let veteran host Charla Rines go in January. So far we’ve gotten about 80 comments denouncing ShopNBC for canning the mouthy host. Not for nuthin, as we’d say in Jersey, but Stewart is pictured in the Star Tribune wearing what appears to us to be a New York Yankees cap and Yankee pinstripes. It’s a considerably more macho photo than his corporate shots, not that there’s anything wrong with that. Adding to QVC’s hip factor, singer Melissa Etheridge will be performing live at its studios next month, the home shopping channel said Monday. Etheridge will be in West Chester, Pa., April 20 for a show at 9:30 p.m. To see the songstress live and in concert, QVC’s Facebook fans were invited to make reservations so they could attend the event. QVC, trying to draw in viewers who don’t normally watch the channel, has been airing live concerts from a variety of talent, most recent tween idol Justin Bieber. A big thumbs-up for last night’s “Jerseylicious” episode, the show’s second on the Style Network. We saw a lot more about the mother-and-daughter team that runs and manages the Gatsby Salon in Green Brook, N.J. Flame-haired Gayle Giacomo and her daughter Christy Pereira have a lot riding on their move and revamping of their beauty salon. We thought we heard Sunday that millions of dollars at been invested in the project, so the stakes were high. We loved watching the Gatsby crew trying to deal with that unruly and demanding bachelorette party. And Anthony Lombardi proved he’s a model male again when he tactfully warded off the advances of the bride-to-be, who wanted him to massage her back. Lombardi said he doesn’t even give his wife massages. As for Gigi Liscio, it’s hard to believe that the scene in the Italian restaurant, where her goombah boyfriend Frankie Buglione almost starts a fight with a waiter, wasn’t scripted in there. Frankie loses his cool, supposedly, after the waiter compliments Liscio on her necklace. Frankie believes the waiter is really eyeing Liscio’s rather ample cleavage, and has a fit. He starts to go after the waiter. Tracy thinks it’s funny. Why? In that immortal truth all we women know, a leopard doesn’t change its spots. Once a cheater, always a cheater. E! Entertainment Television’s tart-tongued Chelsea Handler, comedian and Jersey girl, recently blasted the women on “Jerseylicious” for giving Garden State women a bad name. We’re thinking people should withhold judgment, from what we saw of Sunday’s episode. We had high hopes when we heard that designer Isaac Mizrahi was coming to QVC. We met and interviewed him almost a decade ago, and he was delightful. And we loved his clothes at Target. As we’ve said before (sorry if you’ve read this already), we wore a $59 black cocktail dress that Mizrahi did for Target to the Emmy Awards in LA in 2008. And, we swear we’re not bragging, we looked just as good as many of the women who had thousand-dollar gowns. We dressed up that LBD with big jewelry and were good to go. But after all the hype that QVC generated about Mizrahi coming on board, when his line debuted we weren’t very impressed. But we have tried to keep an open mind. When we heard he was doing the Today’s Special Value for Monday, we were looking forward to seeing it. Well, it was quite the disappointment, as has been the rest of his QVC collection. It’s a scoop neck knit top with “embellishment,” namely a few jeweled flowers and a denim/grosgrain ribbon flower pin, which is removable. The TSV is $40. That top is as uninspired and pedestrian, and even ugly with the “embellishment,” as it could get. Isaac, what is wrong with you? We checked out the QVC online forums to see what posters thought, and they echoed our gripes about the TSV. Yes, these ladies are frank. But we happen to agree with them. Isaac, you better step up your game. Please bring the zing and zest your Target collection had to the Q. The April issue of InStyle magazine has a feature on celebrity stylist Rachel Zoe, which talks about her designs for QVC as well as her personal collection of bling. The article is part of the magazine’s monthly “My Jewel Box” series, which we never miss, and it’s headlined “I Dream of Jewelry.” It’s pretty expansive, three pages as well as a full-page photo of Jersey girl Zoe decked out in her jewels. She’s got it all piled on, she is no minimalist, and one fo the pearl necklaces she’s wearing is from Bulgari. It was a gift from her husband to celebrate the 15th anniversary of their first date. Zoe is also wearing huge hoop earrings with big white and green stones. We can’t believe that they’re real emeralds and diamonds. It’s likely costume, since Zoe tells InStyle that she owns about 1,000 pieces of costume jewelry. There are photos of two of Zoe’s QVC pieces in the story. One is a glass bead bib necklace that sells for $125, the other is a gold-plated bracelet with bars, also $130. We couldn’t find the bracelet on QVC’s Web site, so it may be sold out. Zoe talks about layering jewelry, and admits to wearing about a dozen pieces a day. She started collecting jewelry when she was 11, she told InStyle, and her style icon is 1970s Elizabeth Taylor. While Zoe often comes off a bit bitchy on her Bravo show, “The Rachel Zoe Project,” she comes across as very charming and passionate during her QVC appearances. We love her big costume jewelry looks and clothes so far for QVC, which have included a gorgeous lambskin jacket. The April InStyle issue has Gwen Stefani on the cover. We hate to admit this, but Saturday we lost al control and ordered the the mini-Clarisonic skin cleansing system that is QVC’s Today’s Special Value. It’s $120, on three payments. QVC sold the larger version during Christmas, and we cursed everytime we saw a presentation, which was several times a day. Now, when we look in the mirror and our skin looks dull, our pores are large, and it’s time to take action. We read the online reviews of the Mia Clarisonic and it almost all the posters gave it five-stars, Women raved about what it did for their skin. A couple of months ago we blogged about actress/model Molly Sims, who does the Grayce jewely line for HSN, being an item with actor Aaron Eckhart. Looks like that relationship is still a go. The New York Daily News writes Thursday that Eckhart made at an appearance at “the launch” of Sims’ jewelry line at Henri Bendel in the Big Apple. Funny, we thought that her Grayce launched on HSN in November. We missed Twiggy on Tuesday. The modeling icon of the 1960s was in Manhattan, at the Terrace Loft at the Bryant Park Hotel, to preview her new “Twiggy London” collection for HSN. But we were tied to our computer, on deadline for a story, and didn’t have the time to trek into the city. We really wanted to be there. We’ve already received a flyer from HSN about Twiggy’s line of clothes and accessories, which debuts April 3. It shows Twiggy, most recently a judge on “America’s Next Top Model,” wearing a long tiered shirt that’s right up our alley. 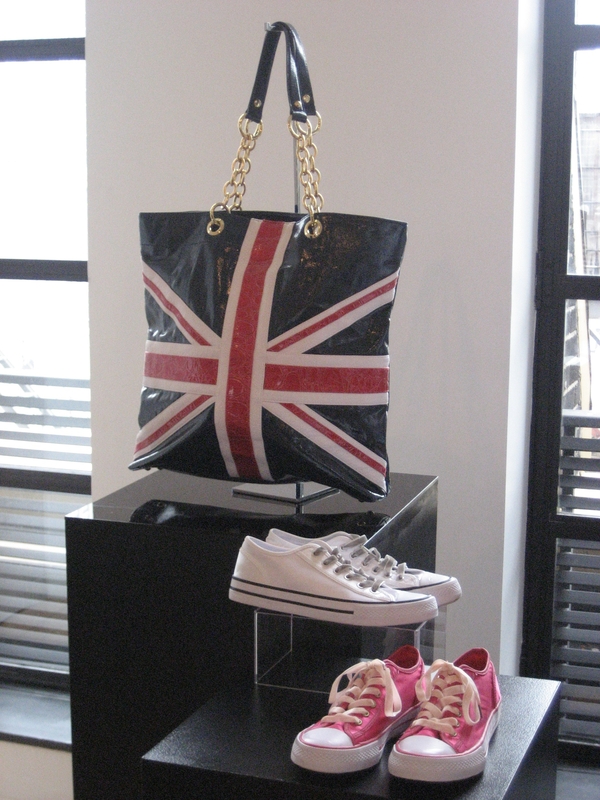 There are also several photos of the Union Jack handbag that will HSN’s Today Special April 3. As we are one-quarter English (grandpa was Percy Moss, from Bolton, England), we welcome this British invasion. You are currently browsing the Homeshoppingista's Blog By Linda Moss blog archives for March, 2010.